Part II takes us to the Oregon Coast in the 1950s, where we meet eight-year-old Elin, Evelyn’s youngest daughter. A forever tomboy, she takes the listener on her own critter-filled journey and through her struggles under the violent hand of her father. All she wants in life is to feel love and to belong. Part III introduces Elin’s seven-year-old daughter, Lu, in the 1960s. Bashful yet strong, she feels the need to protect herself and her siblings from the ugly intentions of others. She’s in a constant search for calm, for a world she can trust in. She carries the story through, circling back to her beloved grandmother. The generations come together in part IV in Dallas, Oregon, in 1985. As Lu, now in her 20s, is beckoned home for a heartfelt visit with her mother and grandmother. 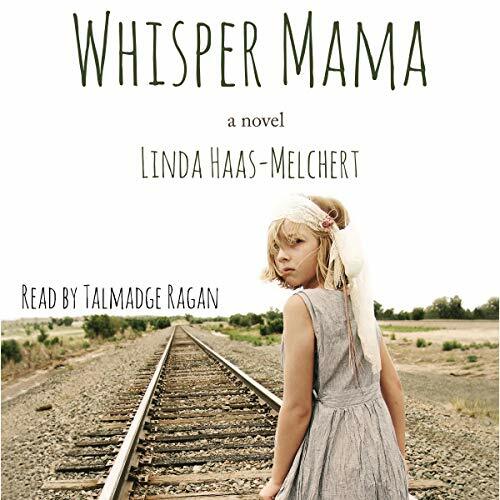 Whisper Mama is a story about surviving and finally knowing when it’s time to go. I absolutely LOVED this book.A tragedy in the beginning defines a family for years to come.I could relate to so much of this book.It brought back both good and bad memories.Well worth your time. Talmadge Ragan was a wonderful narrator. I was given this book by the narrator,author or publisher free for an honest review. This story felt a little far fetched to me. However, it does show how one person can show generation of poverty and abuse. And finally the stopping of it.